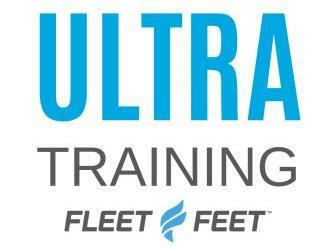 Interested in running your first ultra? Our training program and nutrition seminar will help guide you through the training and help shorten the ultra learning curve. A free and detailed 16 week program is included below. ﻿﻿Our coaching staff will be available for questions and any discussions regarding your training and needs. The goal is to help you run your first 50K and/or 50 miler with success and be a reliable resource for your ultra training and racing needs and goals! Why two programs? For some trail runners 20 miles can take 6 hours and others it can be 3. In ultra training there is a point of diminishing returns or when the long run enters the grey area and we do more harm than good. If you take more time on your long runs, go with the time program if you are a little quicker on the trail, go with the mileage program. Coaches tip: do half the program long runs time based and the second half mileage. That can help you mentally prepare for the mileage. Thursday, January 17th @ 6:15PM --This Nutrition Seminar will help build the necessary foundation and insight on how to fuel yourself for the long haul. We'll cover key fundamentals for fueling, hydrating and introducing electrolytes. Discussion will be around preparing and planning, what to bring and how to consume what's needed. There will be lots of samples and great insight! Please let us know you'll be attending. Which race are you targeting? * if other, please tell us which race.